Reassurance shield after the 9 split. Reassurance shield as we head out of Niota. 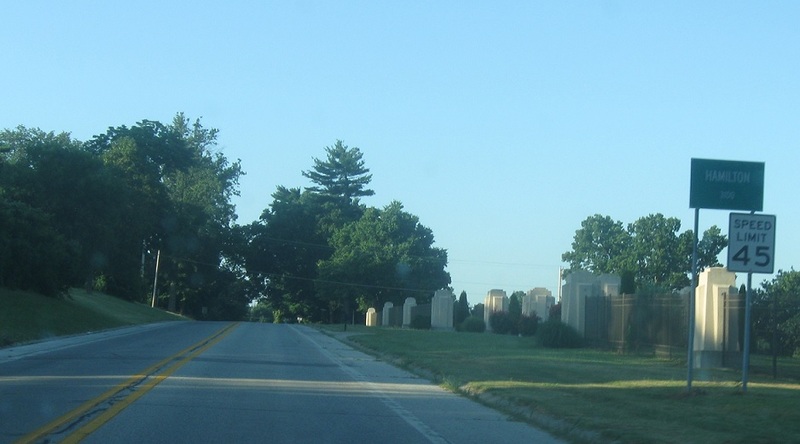 A few miles later, we’ll enter Nauvoo, a key city in the history of the Mormon church and the resting place of Joseph Smith. Nauvoo has a pretty sweet downtown. 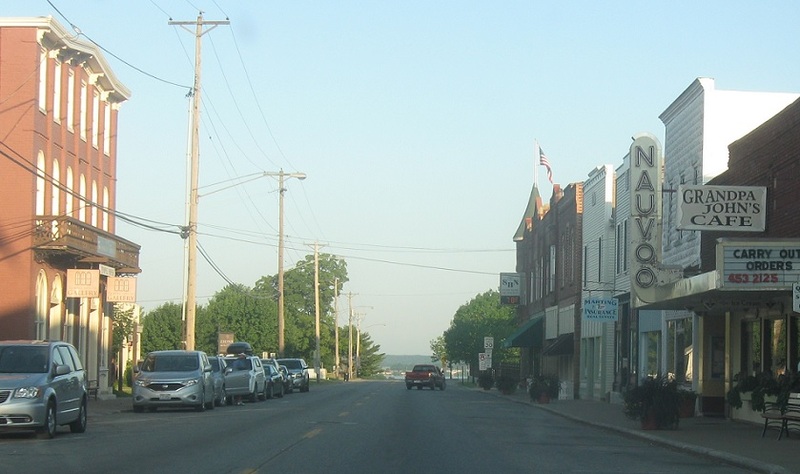 As we head out of downtown, we’re just east of the historic portion of Nauvoo, where the old Mormon community was. Reassurance shield as we head we out of Nauvoo. 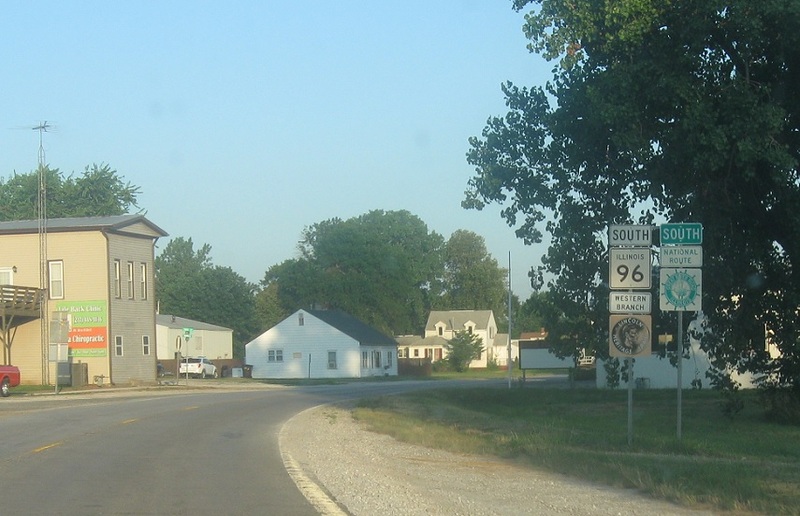 96 follows the Mississippi River very carefully south of Nauvoo. 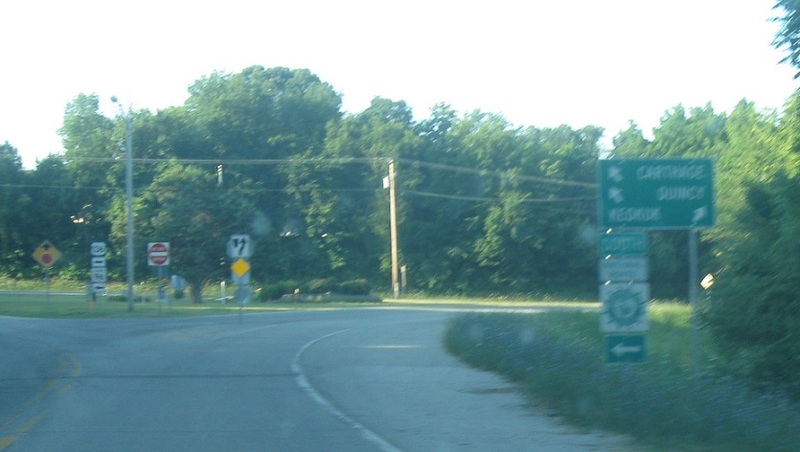 A few miles later, we’ll enter Hamilton. 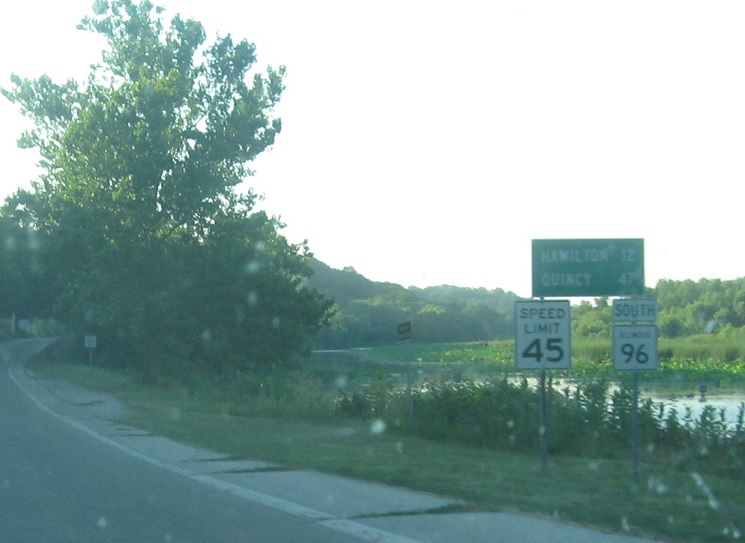 As we enter Hamilton, we’ll approach US-136. 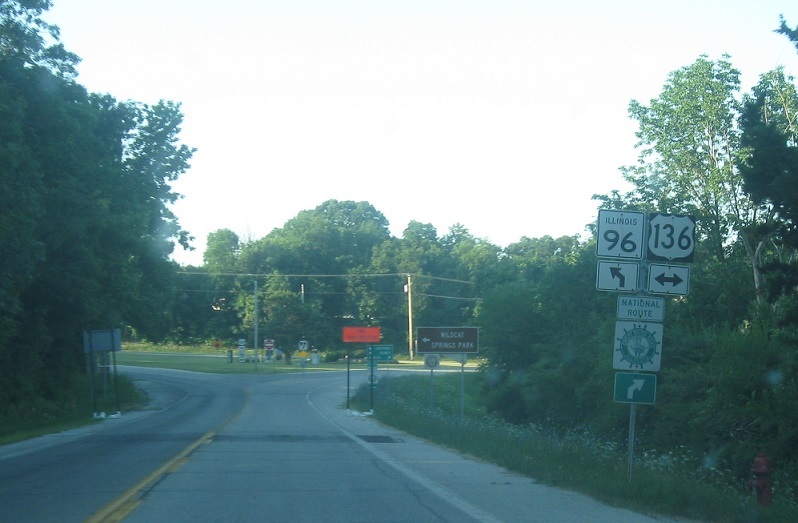 96 south will join US-136 east. 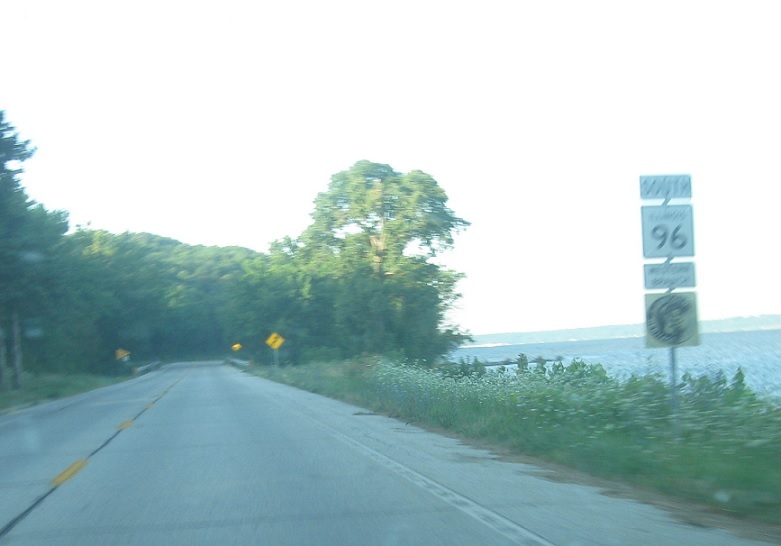 Follow 136 west to Keokuk, Iowa. 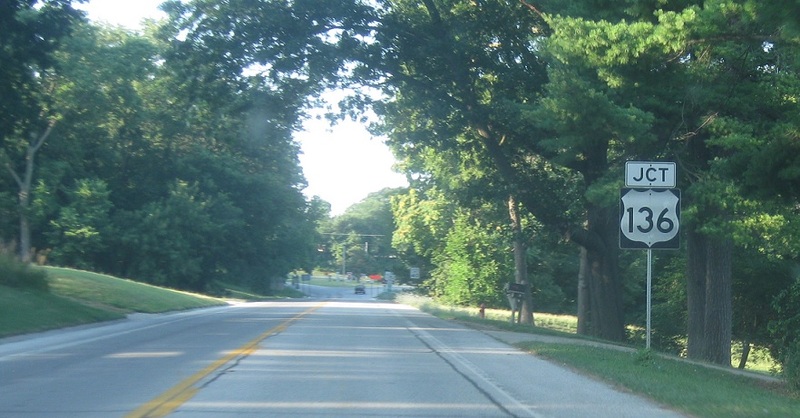 Keep left for 136 east/96 south to Carthage and Quincy. 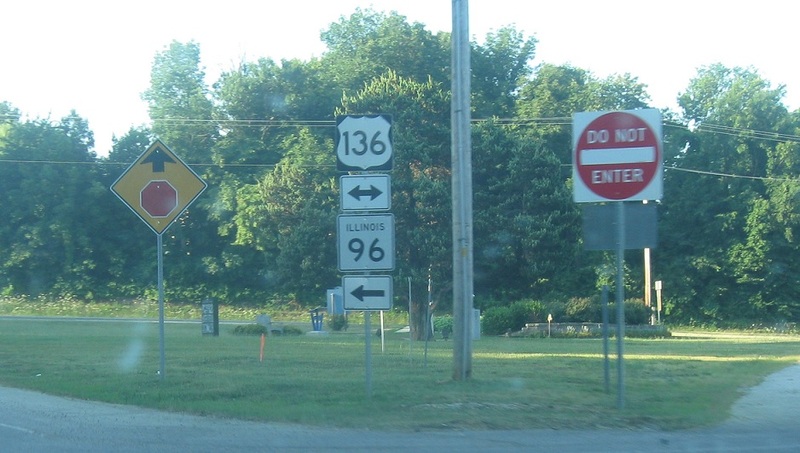 Turn left for 136 east/96 south. 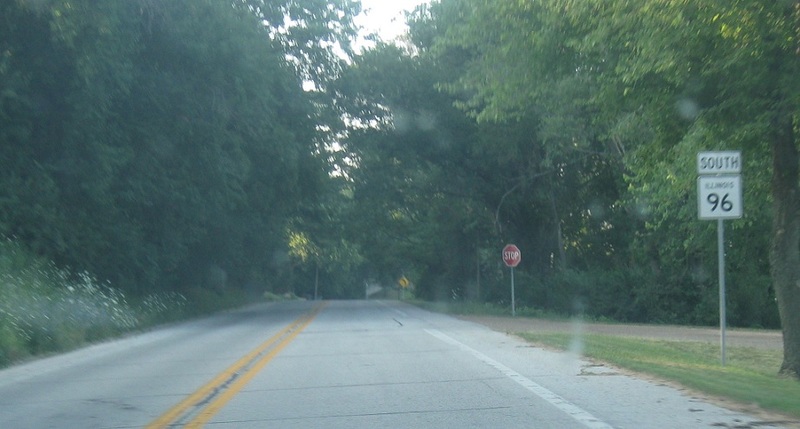 Turn right for 136 west. 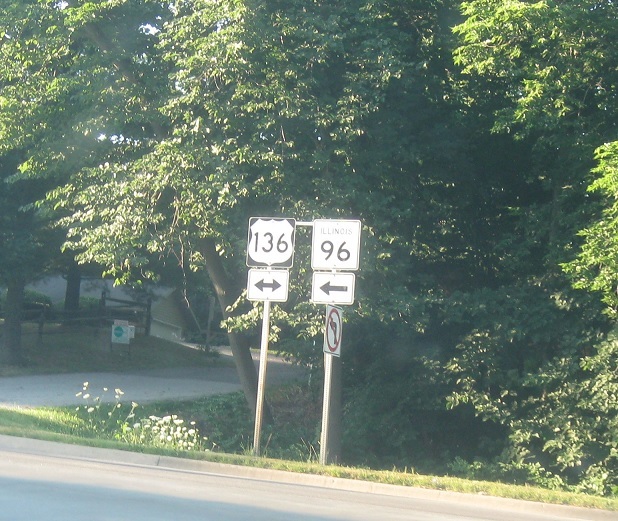 Turn left for 136 east/96 south and right for 136 west.